Love in Preservation: A Guide to Valentine’s Day | John Canning & Co. Whether you’ll be celebrating Valentine’s Day single, coupled, or you’re somewhere in between, use the time to get out and experience something new! We’ve put together a list of some of our favorite projects across the US to celebrate Valentine’s Day that could also make for a perfect romantic day (or night) out. 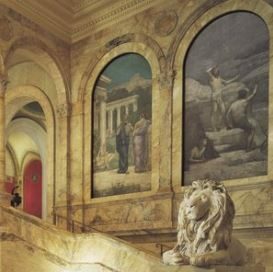 Designed in 1895 by Charles Follen McKim, the ornate features in the Boston Public Library includes artwork and sculptures by prominent artists such as Edwin Austen Abbey, John Singer Sargent, Daniel Chester French and Puvis de Chavannes. Over various phases, John Canning Co restored some of the major public spaces including Bates Hall, the Sargent Gallery, the Abbey Room, the French Room, and the Entrance Hall. Spend Valentine’s Day in the Abbey Room and see Edwin Austin Abbey’s depiction of the Quest of the Holy Grail or see Puvis de Chavannes only mural work outside of France in the Puvis de Chavannes Gallery. 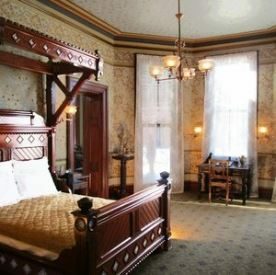 Mark Twain, or Samuel Langhorne Clemens, knew it was love at first sight when he first saw a photo of Olivia Langdon and the Mahogany Room and Carriage Suite played an important role in their life. Before its restoration in 2017, the space had been closed since 2010. 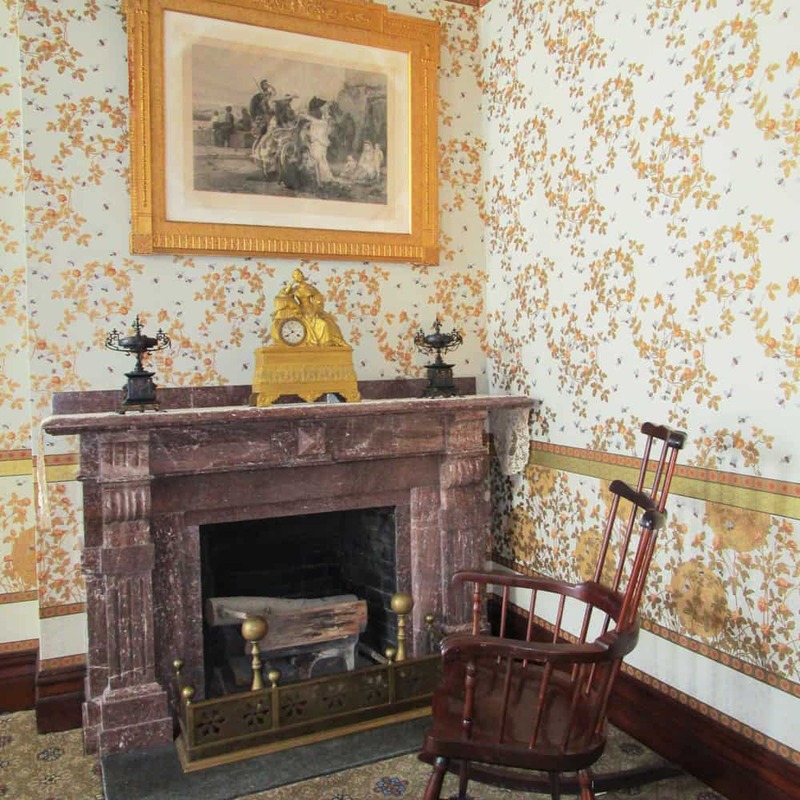 Restoration included the historic woodwork, plaster, and installation of reproduced wallpaper. The design of the wallpaper dates back to the 1880s and incorporates spider webs, honeycombs, and bees. The designer, Candace Wheeler, belonged to the same decorating firm as Louis Comfort Tiffany, Associated Artists, based in New York City. 2018 marked the 150th anniversary of Samuel and Olivia’s courtship, maybe you will meet your one and only during your visit. Did you know that the construction for Grand Central Terminal cost $2 billion? 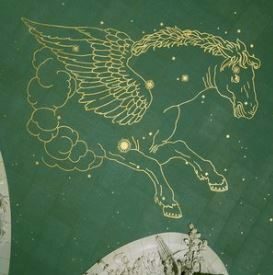 In 1998, John Canning & Co. completed the conservation of the sky mural in Grand Central Terminal which included developing a specialized cleaning agent for the conservation. The terminal just recently celebrated 20 years since its restoration. Amid the hustle and bustle of Grand Central Terminal, take a moment to stop and look up – you’ll spot an area our conservators left untouched, standard conservation practice to provide an opportunity for future studies. Some consider Grand Central one of the most romantic places in New York City to propose. In the spirit of Valentine’s Day, you may even see one while you’re there! Learn more about the restoration and 5 myths unmasked here. In 1885 Glover Cleveland held the First Inaugural Ball at the National Building Museum, known then as the New Pension Building. Entering the 37,000 square foot Great Hall it is hard to miss the 75 foot high colossal Corinthian columns. Each column was built with 70,000 bricks and are among the tallest classical columns in the world. The columns were faux marbled and the marble was inspired by Santa Maria Delgi Angeli in Rome. Canning craftsmen reproduced the faux marbling with a five-step system and worked from specially designed suspension scaffolding. 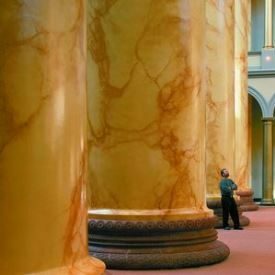 The National Building Museum offers exhibits and events for couples, of all ages. Find your love for architecture this Valentine’s Day as you walk through the awe inspiring Great Hall and explore what the National Building has to offer. The motto in San Francisco is “Oro en Paz, Fierro en Guerra” (Gold in Peace, Iron in War), but what about love? 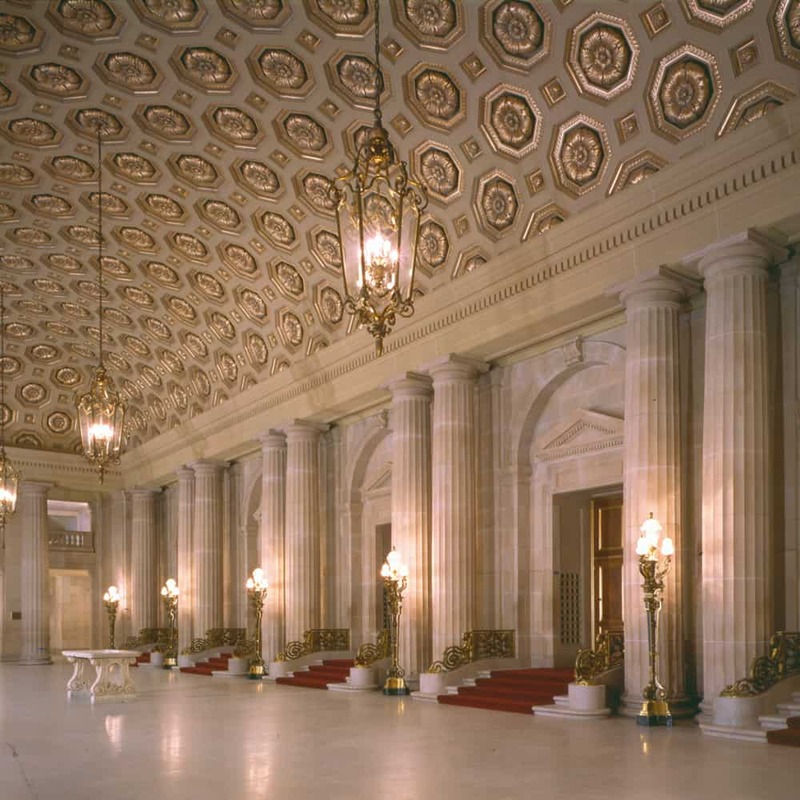 Take your sweetheart see the San Francisco Ballet at the War Memorial Opera House. The restoration of the War Memorial Opera House included 500,000 square feet of architectural elements damaged by an earthquake. Elements were re-gilded and decorative finishes restored. John Canning & Co. developed traditional techniques to replicate the original stippled glazes and finishes. Whether it’s a building that has always been on your list to visit or a favorite museum that you frequent together regularly, Valentine’s Day brings so many opportunities for you to get out and enjoy more than the regular old chocolate and roses. Get inspired by the history, the art, and the atmosphere for a Valentine’s Day you’ll always remember! 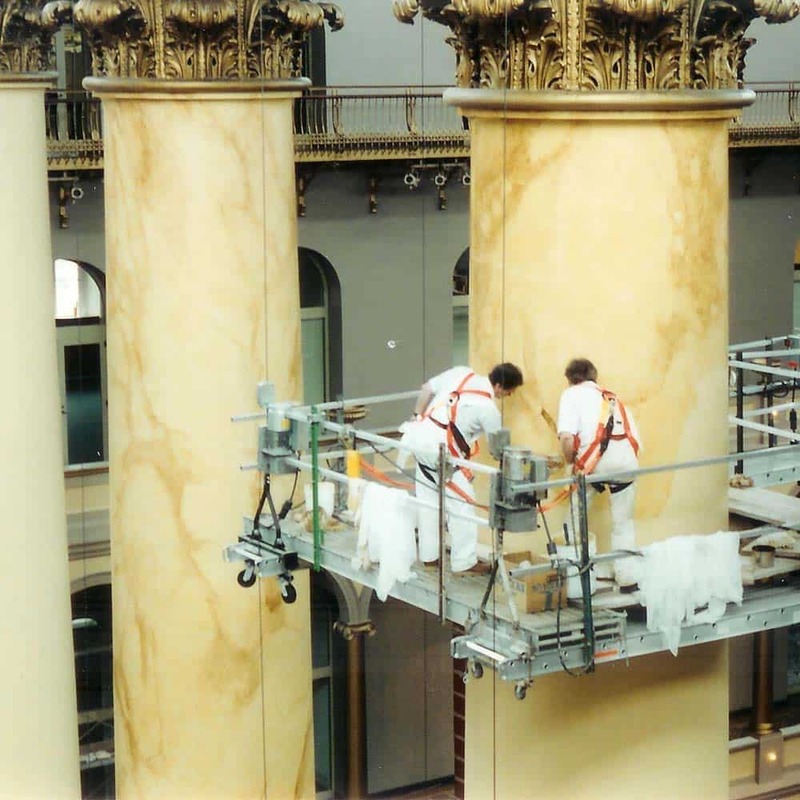 Our skilled artisans implemented a historically accurate marbling finish on the Great Hall Columns at the National Building Museum in Washington DC. 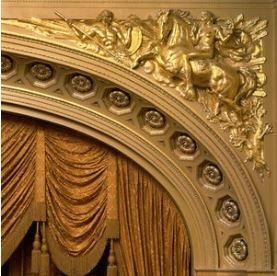 We carefully applied traditional gold-leaf gilding and glazes on 500,000 linear feet of historic architectural elements at the War Memorial Opera House. 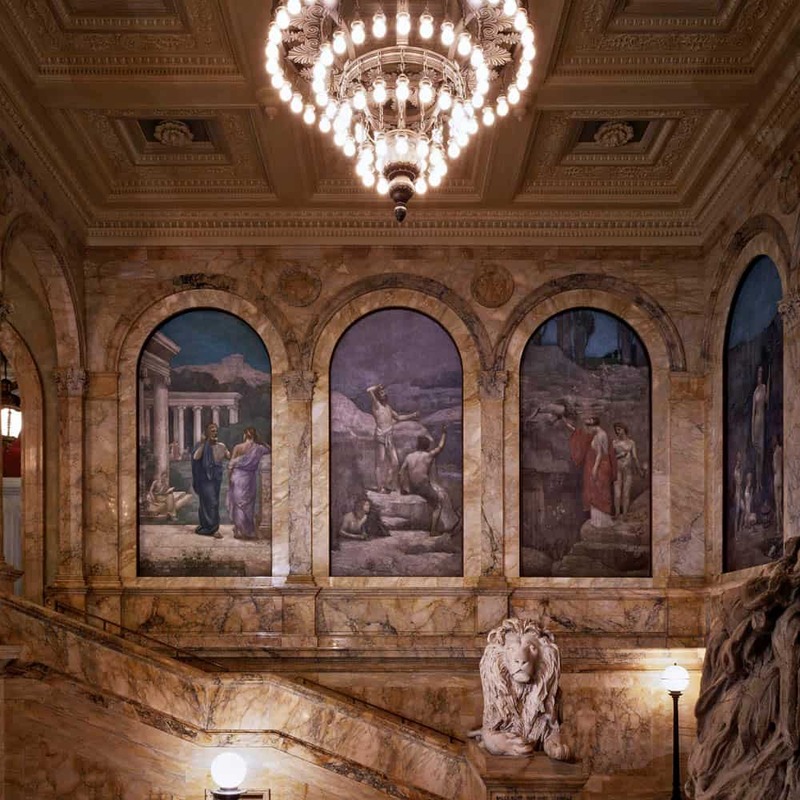 John Canning Co. provided analysis, interpretation, and implementation of historic restoration services at the McKim building at Boston Public Library. We carefully created the cleaning agent and process for the thorough and harmless cleaning and restoration of the Grand Central Terminal ceiling mural.